How you deliver your air is just as important as making it. Old steel lines and plastic lines can rupture and become unsafe over time. In fact, most manufactures and safety personnel do not approve of plastic lines, and steel lines are very labor intensive to cut, thread and install. 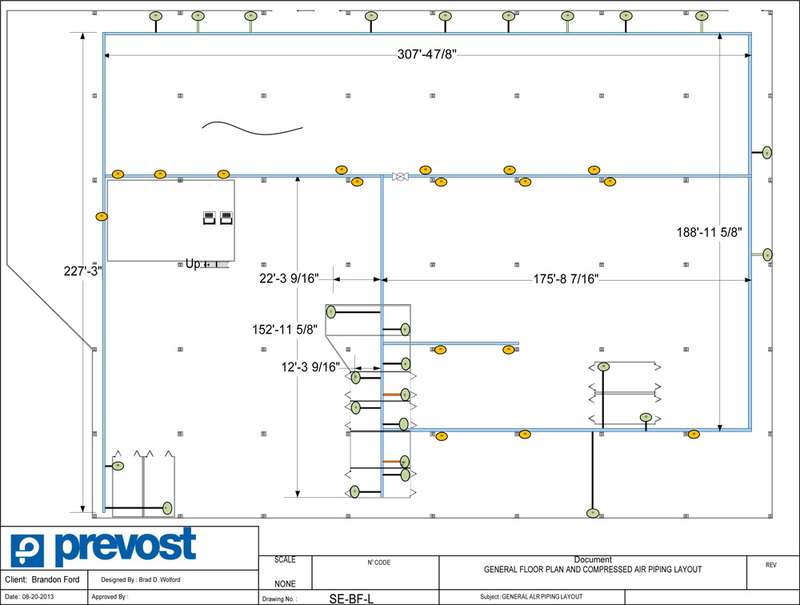 We are proud to sell and install the Prevost line of aluminum piping. It has been proven to be one of the best and is always on the cutting edge of new product innovation and development. Steel and plastic lines do not have the versatility of this system. If you need to add a new drop it can be done in 30 minutes or less. 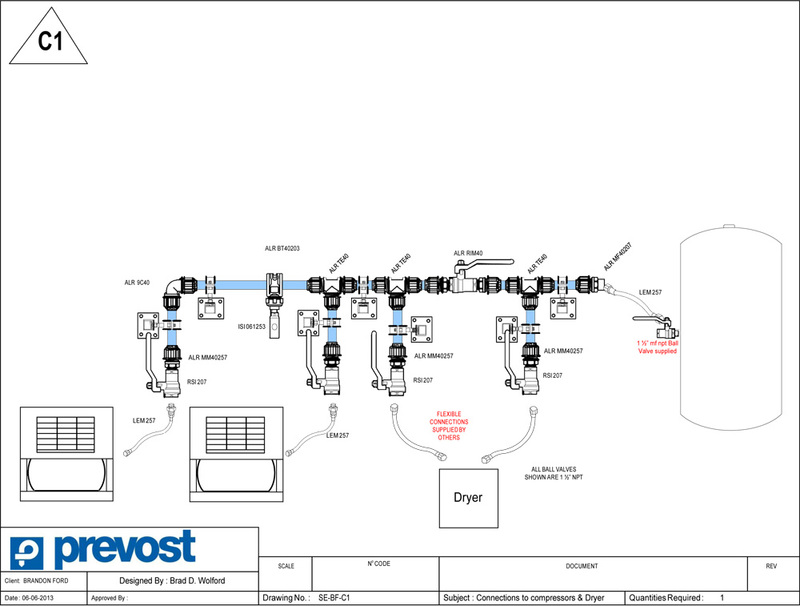 This system can be integrated into any existing facility as an addition or a direct replacement with various fittings, wall manifolds, high flow couplers and hoses, and soft retract or non-soft retract hose reel. 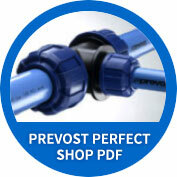 Prevost also offers blow guns, filters and regulators. Having installed many of these systems either as replacement system or in a new facility, we know how it’s done. 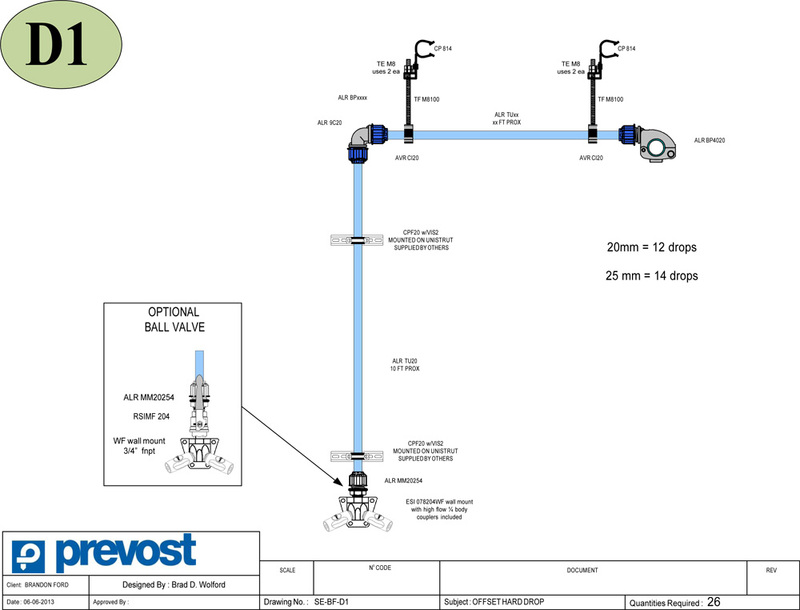 After meeting with you to determine your air needs and requirements, we develop a layout of the central pipe system and work with you and your existing shop layout to locate the required number and location of the drops. Below you will find some resources for your information. 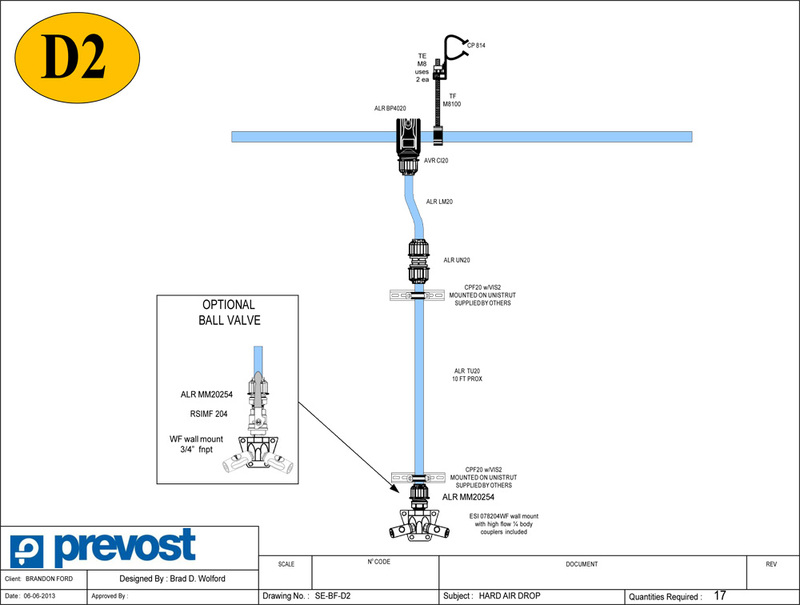 Our factory trained installation crew can get your new Prevost Piping Line installed correctly and quickly.